For centuries, the historical Spice Island of Zanzibar has evoked a mystical and magical dream…Zanzibar is the most romantic of wedding destinations as it combines turquoise blue seas, white powder sand and waving palm trees with a rich and mesmerizing Swahili culture, fabulous cuisine, and stunning sunsets over the Indian Ocean. The fusion of Arab, African, Portuguese, and European cultures has created a pace of life, a style of cuisine, and a colourful tapestry of architecture, heritage, myth and magic that is found nowhere else in the world. With a palm fringed untouched beach, great attention to detail and a personal touch, Our hotels have the perfect romantic getaway to celebrate your special occasion. 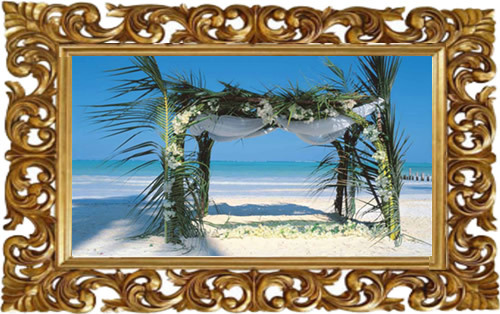 We have created wedding itineraries which range from the simple to the elaborate…which ever you chose you can rest assured that your special day will be in the most romantic of settings with great attention to detail, personal touches and the assistance of the entire team to assure that your wedding will be both memorable and unique.